When a garage door breaks, your life is disrupted. Your ability to get in and out of your garage is compromised, and the safety and security of assets in your garage and home are put in jeopardy. That’s why we at Quality Overhead Door respond quickly to calls for repair of garage doors in Bryan, Ohio. We understand the urgent situation garage door problems plunge your life into, and we deliver urgent solutions through a team of experienced technicians. At Quality Overhead Door, we serve home and business owners in Bryan and throughout the Toledo area with high-quality products and dependable service. 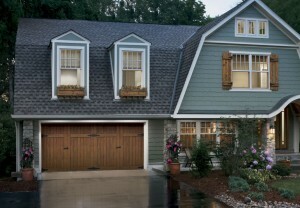 Family owned and operated since 1982, we are here to serve you and your garage door needs. We take pride in our long history of serving homeowners in Bryan and throughout Williams County. Our longevity in the marketplace means we can quickly diagnose problems and recommend solutions. Our team of technicians, many our longtime employees, do everything they can to move quickly and effectively while providing garage door repairs and other solutions at your home. Our superior service helped us earn the Angie’s List Super Service Award as well as authorized dealer status from a number of top suppliers — Clopay® included. These recognitions are just a small testament to the care and concern we bring to each engagement. 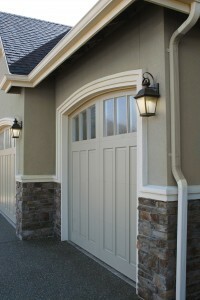 We can work on garage doors and openers of any make or model. Our team of technicians is experienced, knowledgeable and helpful, and they can make fast diagnoses and recommendations — no matter your brand of garage door or openers. And our services reach far beyond garage door and accessory repairs. At Quality Overhead Door, we offer installation and service on fireplaces, awnings, entry doors and more, which makes us a valuable partner for a variety of home needs. We also work with businesses in the Bryan area, offering commercial overhead door repair and service. Whether we’re working at homes or businesses, our focus is always on leaving behind customers who are delighted with our products and services. You can always expect quality and durability when you call us at Quality Overhead Door. We carry only products and replacement parts from highly respected manufacturers such as Clopay®, Wayne Dalton, CHI and LiftMaster®. By carrying products from these trusted brands, we help ensure the long-term performance of whatever you choose. For garage door repairs in Bryan, Ohio, plus a whole lot more, count on us at Quality Overhead Door. Contact us today for garage door repairs at your home in Bryan, Ohio.